Sticklebacks - The picture was created to illustrate a poem about the thoughts of a fisherman. The poet does not wish to be acknowledged. 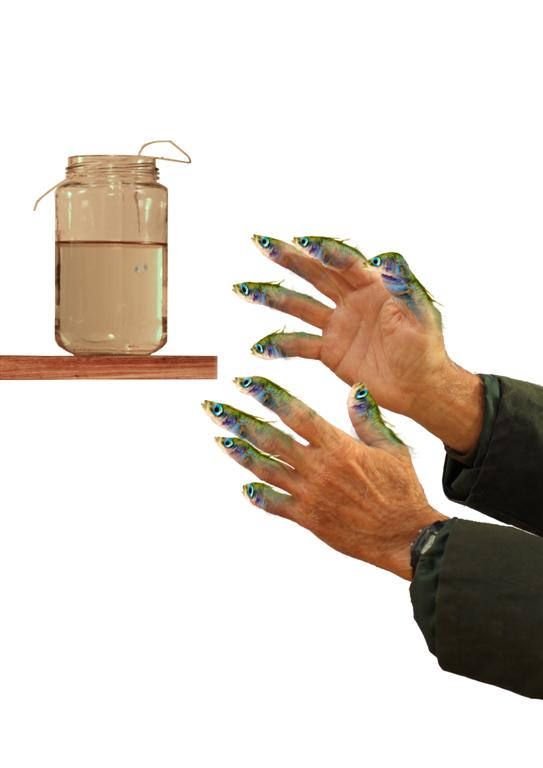 This poem relates the wistful memory of catching and keeping sticklebacks in a jar. The poet reminisces about their appearance and position in both his room and his life. He remembers the feel of them and compares their vibrancy to the mundanity of his existence.